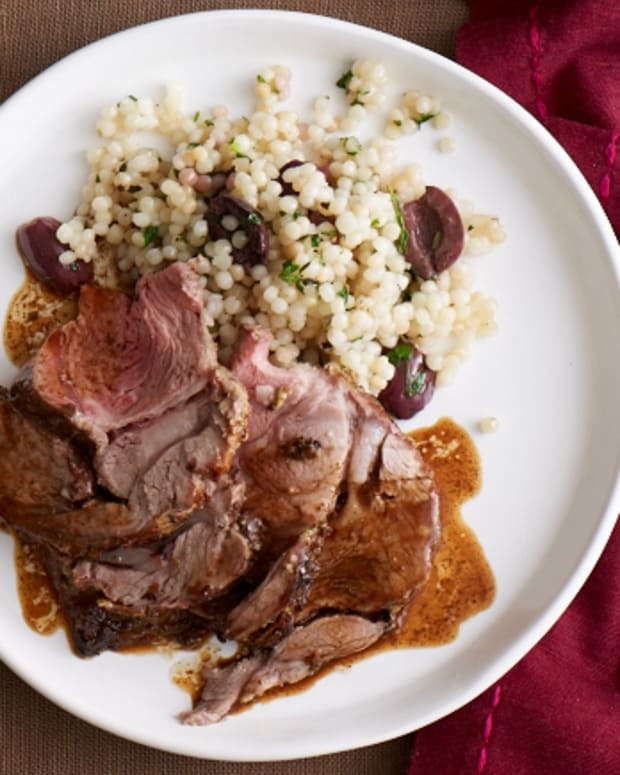 This simply delicious roasted lamb recipe came from Rachel Mosios, a Holocaust survivor from Greece whom I interviewed for my first book, Recipes Remembered, a Celebration of Survival. Sunday night meant leg of lamb for Rachel&apos;s family. 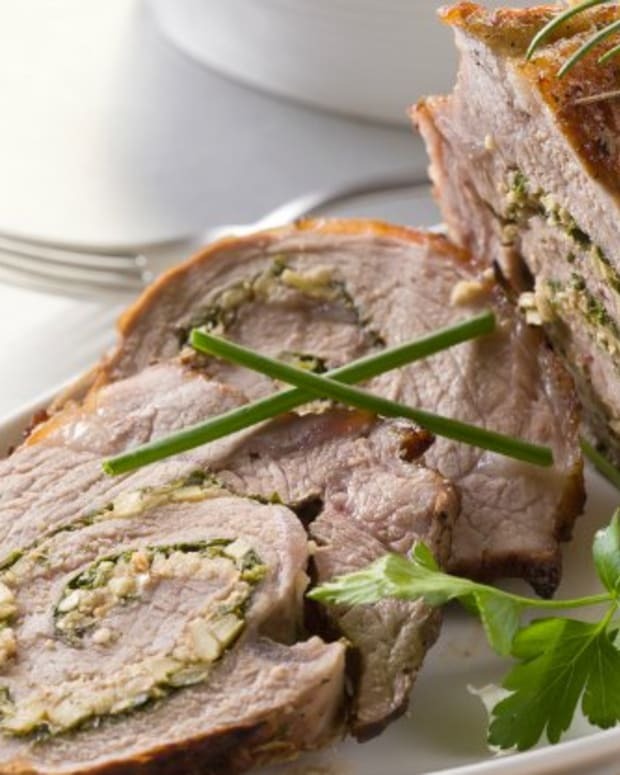 She made the traditional roasted lamb and studded it with garlic, seasoned it with oregano, and treated it to a splash of lemon, which adds an acidic note to the dish. 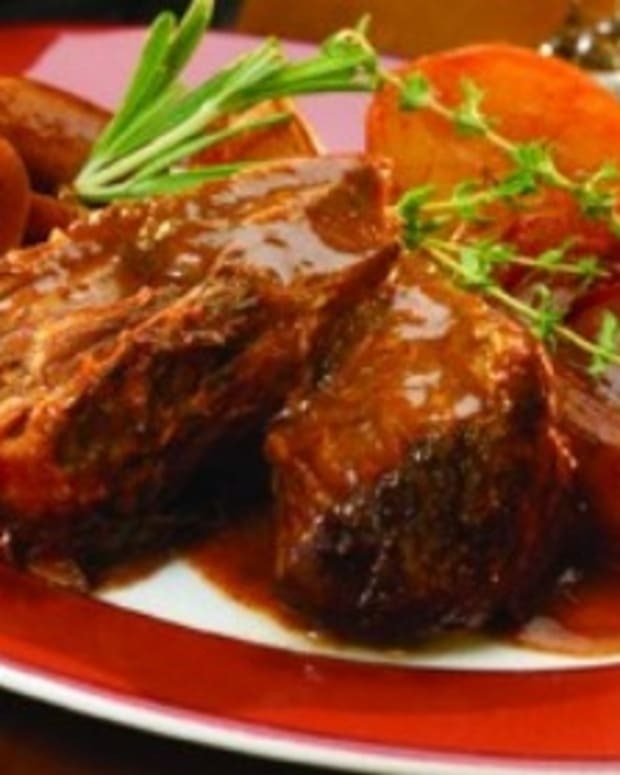 The roasted potatoes linger in the oven after the lamb is cooked and pick up all the flavors of the zesty sauce. 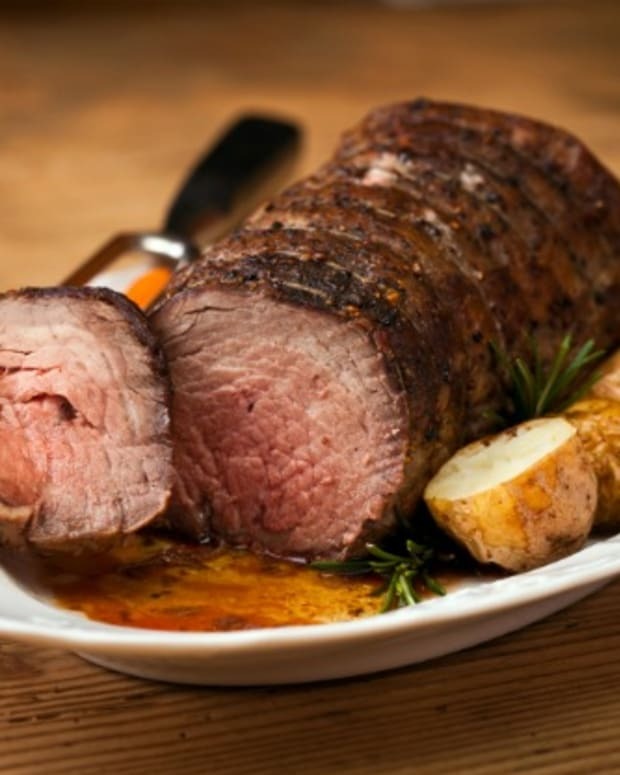 In America, you might not be able to find a kosher leg of lamb, feel free to substitute rolled and tied shoulder in its place. With the tip of a sharp knife, pierce the lamb every 2 inches and insert the garlic. While the knife holds the slit open, sprinkle salt and cracked pepper into the roast. Season the entire lamb with additional salt, pepper, oregano and the juice of 1 lemon. 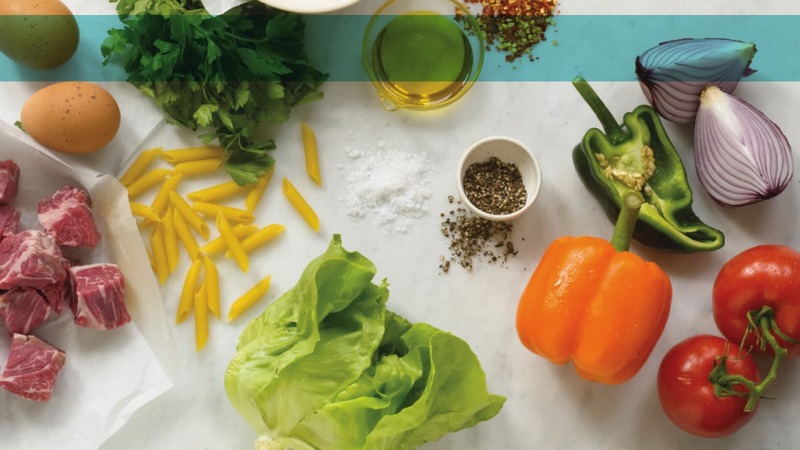 Place the squeezed lemon in the bottom of the roasting pan and add ½ cup of water. 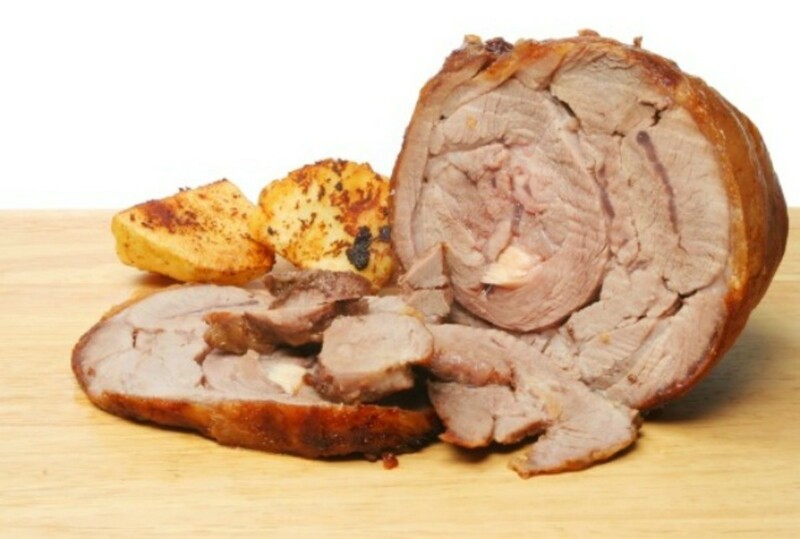 Roast the lamb for 25 minutes per pound, or until a meat thermometer inserted in the roast reads 150 Remove the lamb from the roasting pan and cover with foil; it will gain 5 to 10 degrees while it rests. 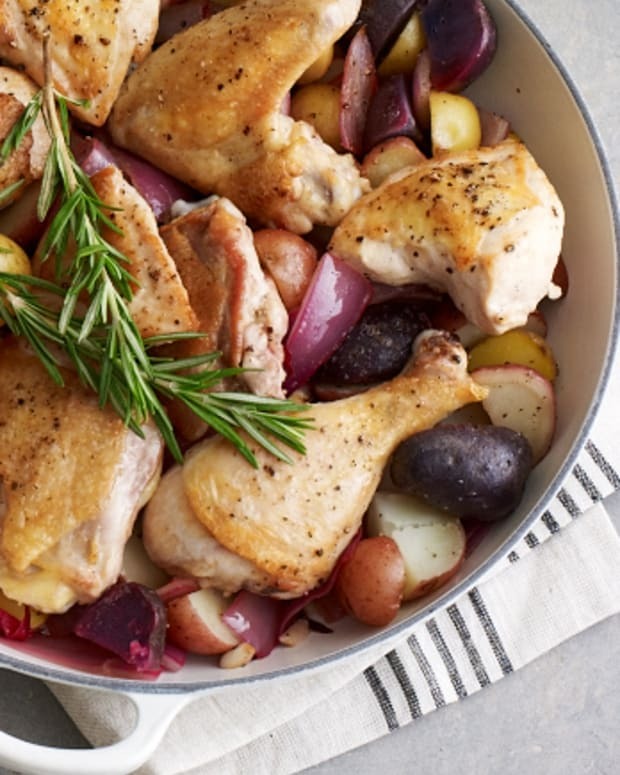 Raise the oven temperature to 400 degrees and add the potatoes and ½ cup water to the roasting pan. Cook for 45 to 60 minutes, checking the pan every 20 minutes to see if additional water is needed to prevent the potatoes from scorching and to create the sauce. When the potatoes are crisp on the outside and fork tender on the inside, they are done. 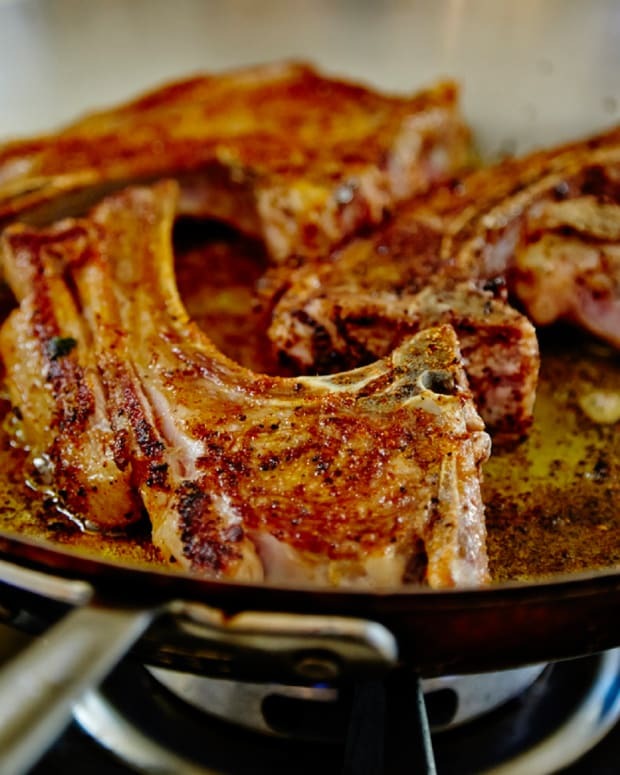 Slice the lamb and place in the pan juices and reheat if necessary until warmed through. You can squeeze additional lemon juice into the pan if you prefer a more tart flavor.